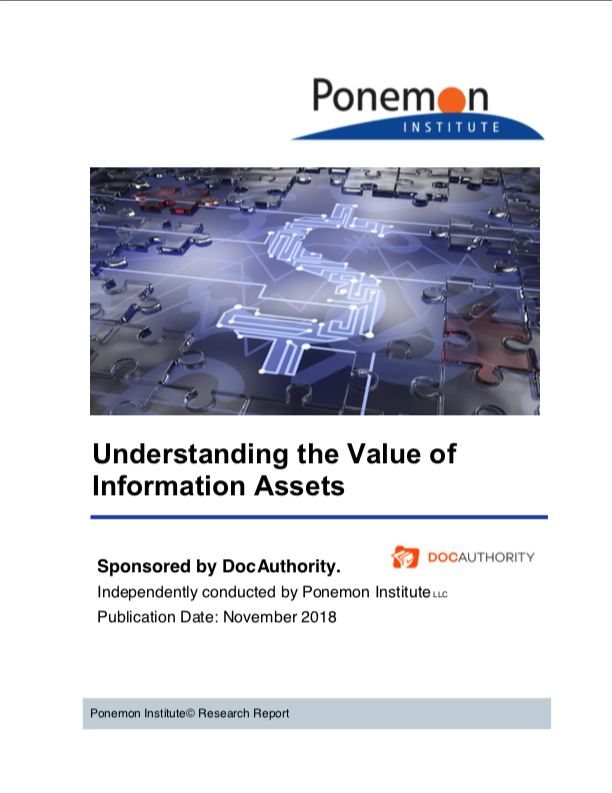 Presented by Dr Larry Ponemon, the latest Ponemon Institute research reveals that IT Security departments' misvaluation of data is putting businesses' data assets at risk. Click play above to watch the launch back, and hit the button below to download the full report now. Discover the value of your business data assets, sign up for a free valuation from DocAuthority by December 31st. Get your hands on Infonomics, the book by Gartner's distinguished analyst Doug Laney.